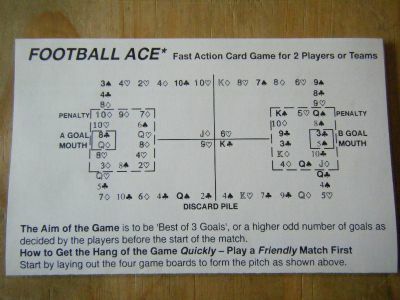 A cross between cards and football. Yet another game that I need to read the rules for. I like the look of the card playing pitch. A graphic of cards and a ball plus the puntastic 'the goal is to win'. 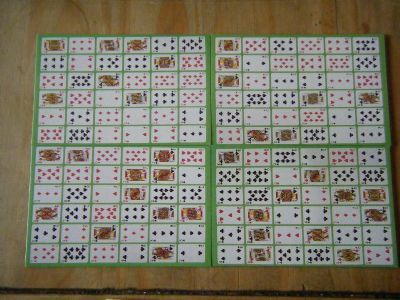 Two packs of standard playing cards plus four gameboards that form a pitch and rules.